Hope For Young Adults With Cancer has partnered with the Colorado Avalanche to offer discounted tickets for the game against the Los Angeles Kings on Wednesday, Feb. 26th @ 8:00pm. Not only are the tickets significantly discounted but they also include a $10 donation to Hope For Young Adults With Cancer. So come on out and enjoy an Avalanche game while supporting a great cause! Please call Justin Ellison at 303-405-7622 or email jellison@pepsicenter.com with questions or for help ordering tickets. 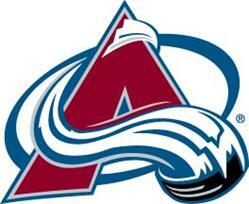 Thank you for your support of the Colorado Avalanche and Hope4YAWC!